If you are in need of skip bins, Blue Heeler Bins can help. We are your trustworthy source to bring you the bins you want when you need them. We aren’t like some of these shady dealers who say they’re delivering a four cubic bin and then drop off a 3.5 bin instead. After all, what are you going to do? Hop in and measure it? Most skip hire companies know that when you ask for a certain size bin, unless there is a noticeable discrepancy you won’t even notice if it is the wrong size. We want you to know you can trust us when we say you are getting a four cubic bin; you’re getting a four cubic bin. We offer a good set of sizes for your skip bins. You can choose from as large as a nine cubic bin to as small as a two cubic bin. We also offer skip bin hire Sutherland Shire with gates. We don’t just do skip bin hire Sutherland Shire we also offer crane bins. Our crane bin sizes are available from two to four cubic bins. Our two cubic crane bins are made for light waste only. 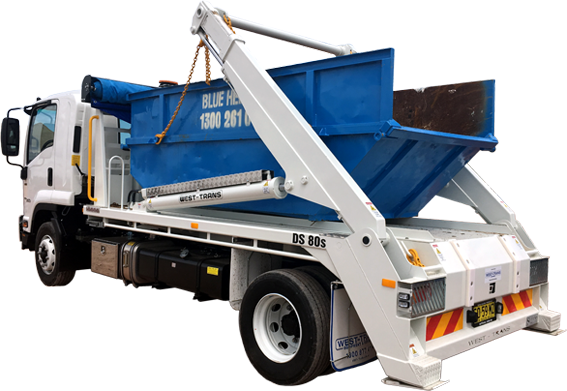 Whether you need us to send over the bins you require or bring ourselves and assist with your rubbish removal, Blue Heeler Bins is your reliable and trustworthy rubbish removal source. Give us a call today to schedule your rubbish removal or skip bin hire in Sutherland Shire.